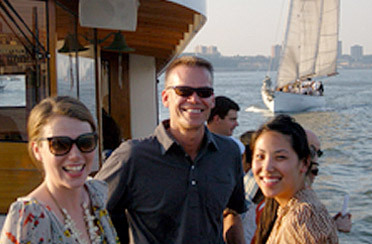 Are you looking to do a NYC private yacht charter aboard a luxury boat for your next company party? 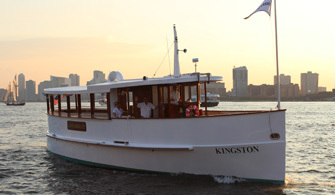 Or are you looking for a private party boat rental in NYC for your group of out of town guests? 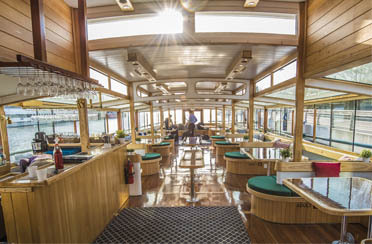 Our boats are a unique event space in New York City that will dazzle your clients, employees, friends or family. 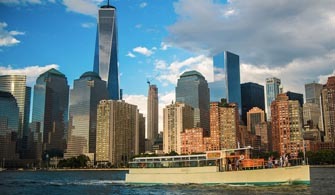 Charter a boat and cruise (or sail) NYC and see all the sights this city has to offer from the perspective of the water. Not only is this a unique event space but is the best way to host a party. 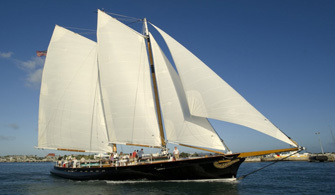 For your NYC private yacht charter we have the beautiful 80 foot Schooner Adirondack and our 105 foot Schooner America 2.0. These sailing boats are a great way to get the company out to relax and enjoy each other. If you are not interested in sailing in NY Harbor aboard one of these sailboats, then come take a tour of our beautifully crafted motor yachts; Manhattan, Manhattan II and Kingston and cruise out in NY Harbor with style and grace. We are located in the easily accessible neighborhood of Chelsea. Our cruises will depart from Pier 62 and take you up the Hudson River, out to NY Harbor to see the Statue of Liberty and the beautiful NYC Skyline. Or you tell us where you want to go and our professional staff will help to design the perfect boat party for you and your guests. Our yachts are perfect for a variety of ideas and will fit your every need. Why host a Private Charter? Say, “I Do!” in front of the Statue of Liberty, under the Brooklyn Bridge, against the back drop of the Empire State Building, the Chrysler Building, and the magnificent New York City skyline aboard a turn-of-the-century style yacht! Make that special day even more thrilling, spectacular and memorable aboard one of Classic Harbor Line’s intimate, beautifully appointed one-of-a-kind yachts. 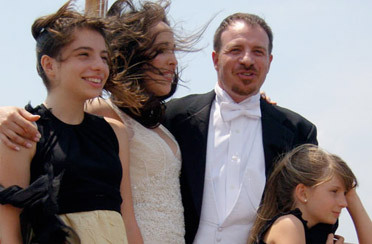 Privately rent our boat and make it the perfect NYC Wedding Venue! Captains are available to perform ceremonies and our private charter sales team is able to help plan the most ideal wedding or wedding related event: rehearsal dinners, bachelorette parties, and day after brunches, etc. 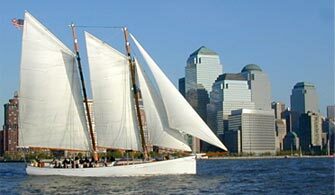 Take to the water on a majestic pilot schooner or cruise aboard a luxurious 1920s-style yacht for your next NYC Corporate Event! Planning your company party? 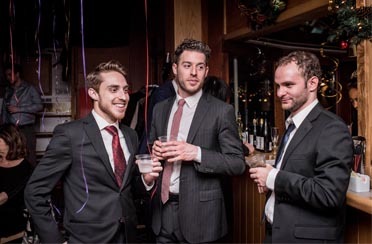 Privately rent our boats and make it the most memorable office party for years to come. 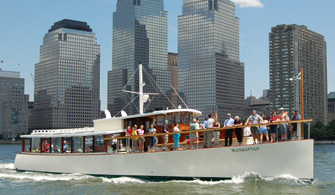 Classic Harbor Line yachts are a popular entertainment venue for a number of New York City businesses. A private boat charter aboard the Manhattan, Manhattan II, Adirondack, America 2.0, or our mini yacht Kingston are a great way to host clients, engage with co-workers or to dazzle recruits. 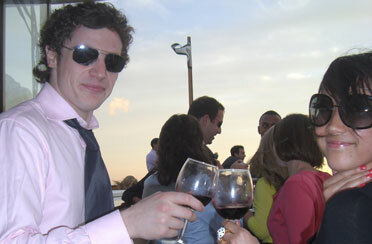 What could be more fabulous than a specialty private wine and cheese pairing aboard a beautiful yacht! Cruise NY Harbor by boat and join Wendy Crispell (a wine expert, cheese master and award-winning mixologist) on the water and enjoy one of her themed wine packages or create a unique wine package that your guests will never forget! You can book a wine pairing sail privately, or you may want to secure tickets for your group on one of our scheduled summer time Wine and Cheese Pairings or on one of our Holiday Wine Tasting Cruise aboard the Yacht Manhattan. All of our AIANY Tour Programming can be booked privately for you and your office, clients, family, guests, school or whomever you'd like to entertain with this spectacular series of tours! 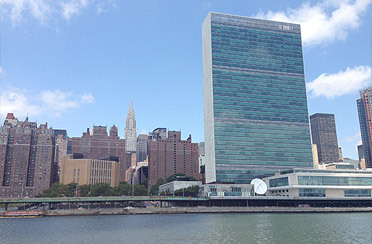 Both the Manhattan II, Manhattan and the Kingston offer a range of space accommodations for groups of 6 to 100 for these narrated events. A expert and insightful AIANY guide will be your host and along with your private Architecture tour you can add catering, bar packages and/or many other elements of entertainment or comforts. When booking these tours privately, you may also request route modifications, special themed tours and shortened or lengthened tours. October, November and December are great months for end-of-the-year celebrations! Join us for private Fall Foliage boat trip to Bear Mountain or a NYC Private Holiday Party with your company in New York Harbor. During the fall and winter months the cozy Manhattan II and Manhattan salon are heated and fully decorated to capture the spirit of the Season. Host a year-end dinner in our cozy observatory as you and your guests cruise past the magnificent city lights of lower Manhattan. 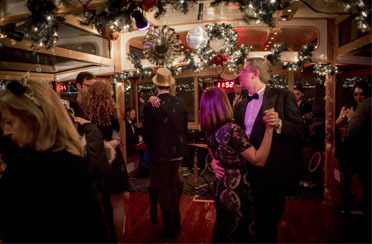 You can add our Jazz Trio for jazzy holiday tunes to your yacht charter or take advantage of one of our popular pre-scheduled December events by securing tickets for your group aboard our Cocoa and Carols/Holiday Jazz boat cruise series. The Luxury Yacht Manhattan is an ideal yacht to rent to charter for destinations around the Tri-state area. She can cruise up to 22 miles per hour and get your group to Poughkeepsie in 4 hours, West Point in 3.5 hours, and Bear Mountain in 3 hours. Other destinations might include the 79th Street Boat Basin Café; Hoboken; World's Fair Marina in Queens; Greenwich, CT; West Point Military Academy to catch a Fall Football Game; or various locations in Connecticut, Long Island, or New Jersey. We are happy to help you tailor a destination charter. You may also consider securing tickets for your group on one of our pre-scheduled Full Day Cruises to Bear Mountain and Back! Who said meetings need to be boring? 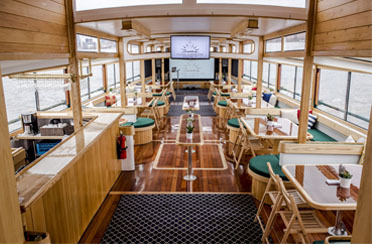 Take your NYC meeting to a classic yacht and try a unique meeting space with the NYC skyline as its backdrop. The dazzling Manhattan & Manhattan II can facilitate meetings, seminars, sales conferences, networking events and client meetings for 20-120, offering full audio/visual services. Our professional team will walk with you through the whole process from start to finish and will assist you and your every need. You are sure to continue to rent out these boats for years to come for your annual meetings. The Classic Harbor Line Fleet is the most photogenic collection of yachts in NYC. Classic Harbor Line is well equipped to facilitate all types of shoots for print, film, fashion or live television. Choose from an elegant 1920's style motor yacht or a 105 foot schooner and cruise through NY Harbor with the most famous skyline in the world as your backdrop. Not only can you shoot on board each of our yachts, but we have chase boat services as well. Planning your spring or fall NYC gala for your non-profit organization? Let Classic Harbor Line assist you with planning one of the most unique and productive events you have ever hosted. Guests are sure to turn out for a gala on the water aboard the most inspiring yachts in NYC. Dazzle your guests as you cruise by boat past the Statue of Liberty and glide under the Brooklyn Bridge for an evening of elegance. 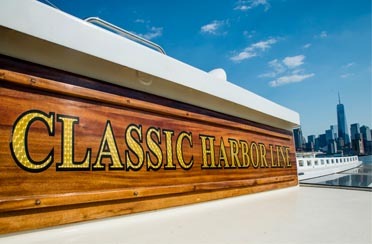 Classic Harbor Line can offer private NYC ferry service by boat for a number of locations in the tri-state area. Whether you are bringing a group from NYC to Connecticut, or from one side of the Hudson to the other, we may be able to offer you the solution. Whether it be your wedding party or your corporate office outing you are sure to impress your guests and travel in style. 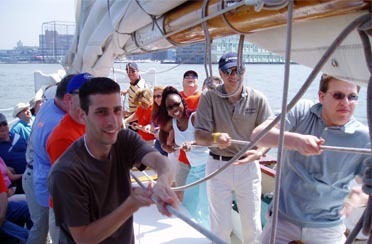 Perfect for any corporate team-building event, the schooners have a fun, competitive, and educational team-building program. With hands-on activities, teams will not only have a great time but will also collectively learn about the basics of sailing and line-handling. 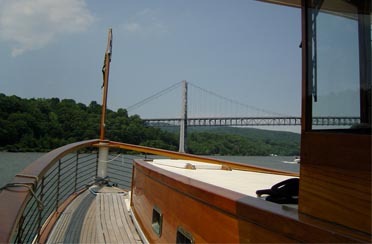 Classic Harbor Line offers excursions to the Hudson River Valley, both ticketed and private. 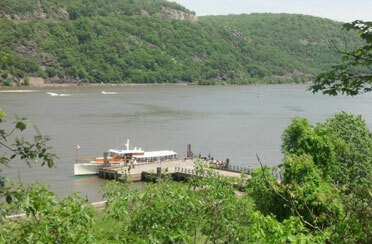 Take a full day cruise to Bear Mountain, Cold Spring, Storm King or Poughkeepsie. Enjoy time land-side taking a short hike, visiting one of the many museums or galleries, going antiquing, visiting local shops, wineries and fine eateries. Your Hudson River Valley visit will be bookended by a glorious cruise through the most beautiful river valley on the East Coast while you enjoy a bountiful brunch or gourmet lunch!